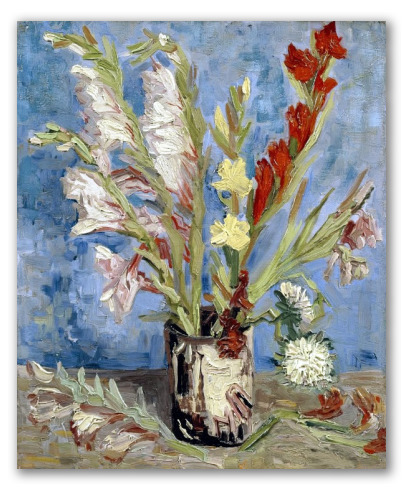 "Vase with Gladioli" by Van Gogh, Oil Painting Reproduction. 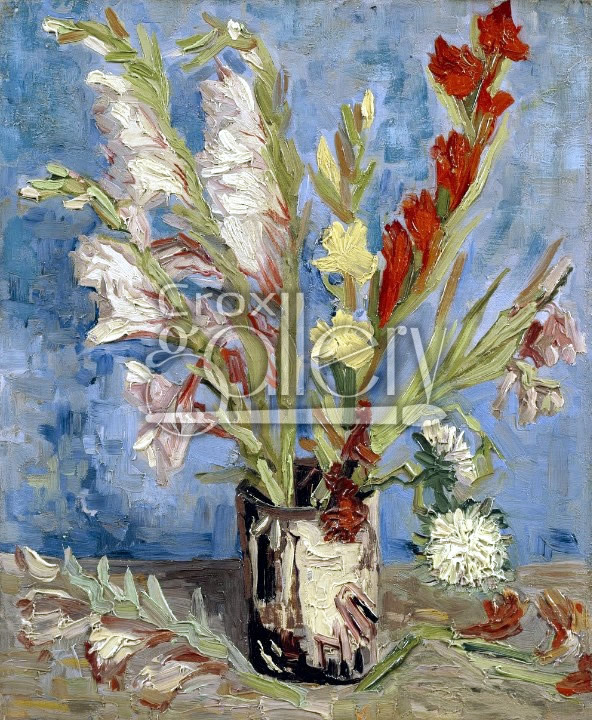 Vase with Gladioli, Paris 1886. Van Gogh worked on many "still-life" paintings. He wrote to a friend telling him that he did so because he had no money to pay models. “Still-life” paintings allowed him to experiment with different colors. To this painting Van Gogh applied thick paint that adds texture and enhances the image. Currently at the Van Gogh Museum, Amsterdam.